S/Sgt. 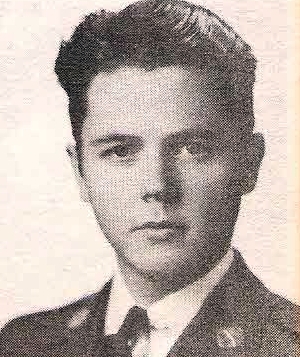 Guy E. Norred, Jr., son of Mrs. Guy Norred, Graham, husband of Virginia Crump, Iowa. Entered Army in 1944, trained at Ft. Levenworth, Kan., Camp Hood, Texas and New York, N. Y. Served in Holland, France, Belgium and Germany. Awarded Pres. Citation, 3 Battle Stars, Belgian Fourragere. Discharged in 1946.